The Journal of Mammalogy has been the flagship publication of the American Society of Mammalogists since 1919 and was voted one of the top 100 most influential serials in biology and medicine of the 20th century. This highly respected international scientific journal is produced 6 times per year and promotes interest in mammals throughout the world by the publication of original and timely research on all aspects of the biology of mammals. Timely papers are published on mammalian behavior, conservation, ecology, genetics, morphology, physiology, and taxonomy. Society news and student scholarship opportunities are published regularly at the end of each issue. Online access is available here. 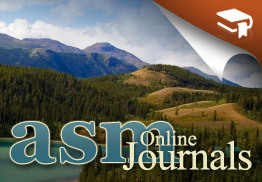 ASM members have online access to ALL articles published in ASM journals. Non-members have online access to articles published from 1996 to present via the respective journals pages at Oxford University Press (academic.oup.com), with a 1-year embargo on new papers. For articles published prior to 1996, non-members can purchase short-term access at the OUP journals pages, can obtain articles via the JSTOR digital library if their institution is a subscriber, or by requesting a copy from the author. Membership is the best way to ensure full and immediate access to ASM publications - join ASM here.